This past year, we’ve had three elder candidates sitting in on our elder council meetings. 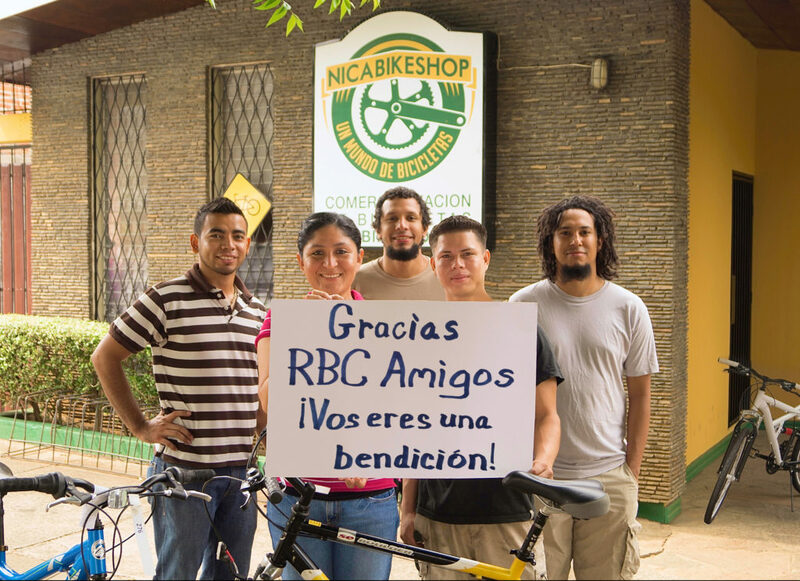 That year is now up, and we are pleased to present them to the RBC congregation for the next two weeks. 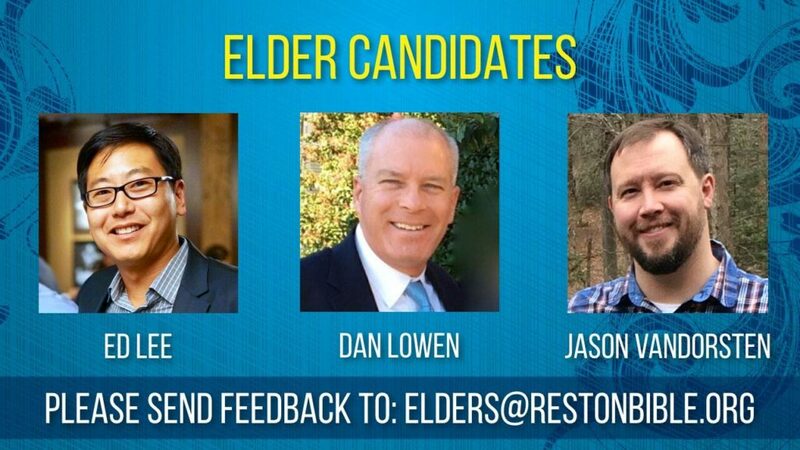 The candidates to join our elder council are Ed Lee, Dan Lowen, and Jason VanDorsten. If there is anything that you know about these men that we don’t know, please let the elders know at elders@restonbible.org. We would love your feedback on anything that might disqualify any of these men from being an elder, or if there are any positive things that you would love for us to hear about them. We believe that they are very well qualified, and we are eager to introduce them to you following this period of consideration. For those of you unfamiliar with the world of theology, allow me to introduce you to the greatest theological mind in the last century – Dr. R.C. Sproul. In a culture awash with theological liberalism, Dr. Sproul has been one of the greatest defenders of the faith in our lifetime. On December 14, he went home to meet the Savior he has faithfully preached about for the last fifty years of his life. “Well done, thou good and faithful servant!” were no doubt the first words he heard upon entering his eternal home and walking into the presence of his Lord. God gifted Dr. Sproul with a mind that was far beyond that of the greatest of scholars. A scholar himself in numerous fields, he was a superb philosopher, an accomplished linguist, a master logician and a theologian beyond compare. What he casually knew about various disciplines often exceeded the knowledge of scholars dedicated to those fields. To challenge R.C. to a debate was to face sure defeat even before the first words were spoken. His mind was a true gift from God and a true gift to Christianity – a gift well-stewarded in advancing the Kingdom. When Dr. R.C. 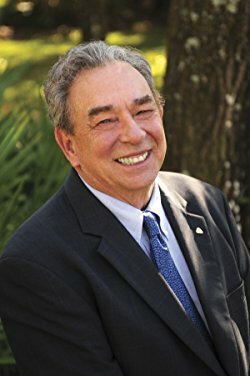 Sproul left this world, I am quite certain 90% of its intelligence left with him. But our great loss is overshadowed by his great legacy. May God bless Dr. Spoul’s legacy, and may it continue to bear gospel fruit for generations to come. 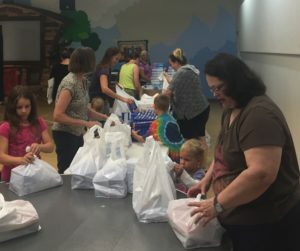 After the devastation left by several hurricanes this year, Reston Bible Church engaged in relief efforts in Texas and Puerto Rico, providing manpower and supplies. Here’s a brief update from two trips. If you’re interested in future relief trips, please contact Dale Peak. As you read through and remember the goodness of God, we pray that you would rejoice in the glory of His grace and give thanks for the beauty of His gospel as it goes forth in so many ways in Northern Virginia and around the world. The mission of our Adopt-a-School relationship with Guilford Elementary School is to help meet the physical, relational and spiritual needs of the disadvantaged through service and generosity, and to encourage the staff who work with these families. By leveraging the talents and resources of many RBC volunteers, we have the opportunity to positively affect the lives of students, their families, and the staff of Guilford. We can help to fill the gap created by budget cuts and a poor economy with our abundance and share the hope that is in us. 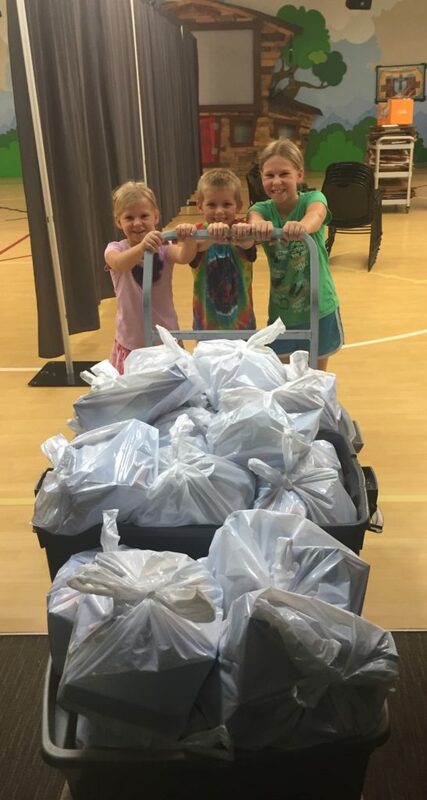 One of the ways in which Reston Bible serves Guilford Elementary is through Backpack Buddies, where we send bags of food home every Friday with the children of families living below the poverty level. Right now, Guilford has 250 families that meet that criteria and need assistance. Last Thursday, volunteers gathered together in the clubhouse to pack bags for our first delivery of the school year. It was a time of fellowship, service, and an opportunity to show the love of Christ to our local community. Thank you to the volunteers who came out to help! This ministry would not be possible without your faithful service. We are in need of many more weekly volunteers – especially for Backpack Buddies delivery on Fridays when we take the bags of food to Guilford. If you are interested in serving with us, please click here for more information. If you’ve been around RBC for much time at all, you know that this time of year, we are usually in full swing putting together an Easter week production we call Conversations. Conversations is a winsome combination of live music, real life stories, humor and drama that is ultimately meant to lead to conversations about the beautiful good news of Jesus. Originally developed as an outreach-focused alternative to our traditional Easter Cantata, it has been a staple event in the life of our church for over a decade. Hundreds of volunteers, cast and crew have given significant amounts of time, treasure and talent to this production – and we are grateful to the Lord for every single person who has been involved in some way over the history of Conversations. We want to let you know that the leadership of RBC has decided to not do Conversations this year, but instead provide a smaller series of teaching and worship events called A King & A Kingdom. During these evenings of worship, teaching, testimonies and prayer, Jamie Winship will encourage and challenge the RBC body to seek the King of Kings in all aspects of life. We understand that not having Conversations is a big change in the rhythm of life at RBC. With that in mind, we wanted to provide you with some answers to some of the questions you may have regarding this change. 1. Why aren’t we having Conversations this year? The Conversations team prays, evaluates and discusses Conversations every year to see if it is accomplishing what we want to accomplish and if it is the best thing for our congregation and community. We don’t ever desire to do events just because we have done them in the past. This year, we believe that Conversations does not best meet the needs of our congregation, as we see that there are many among us who are hurting deeply and have significant needs. 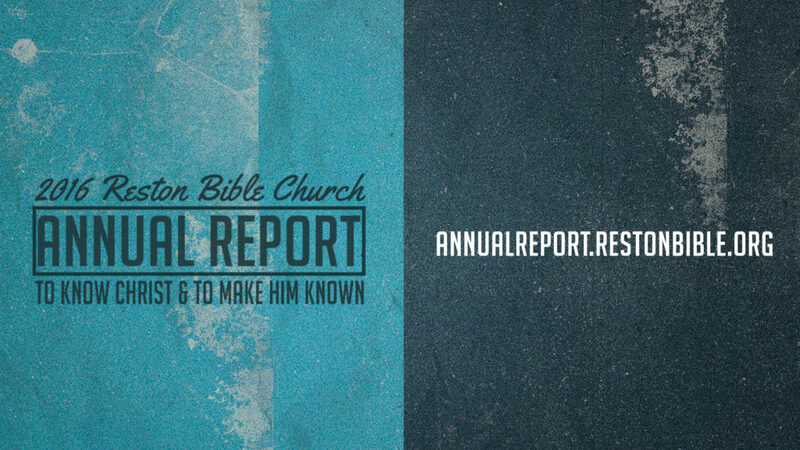 We believe this year, rather than focusing outward, that it would be more effective for us to build up the body of Christ at RBC and to ask God to encourage, direct and heal His people here. 2. What is “A King & A Kingdom”? A King and A Kingdom is an opportunity for us to come together as a body for a concentrated time of teaching, prayer, and worship, that we might grow in unity and in our individual walks with Christ. The main sessions of A King & A Kingdom will take place 7:00-9:00pm the evenings of Wednesday, March 23 and Friday, March 25. These evenings will include worship, teaching, prayer, testimonies, and special music. 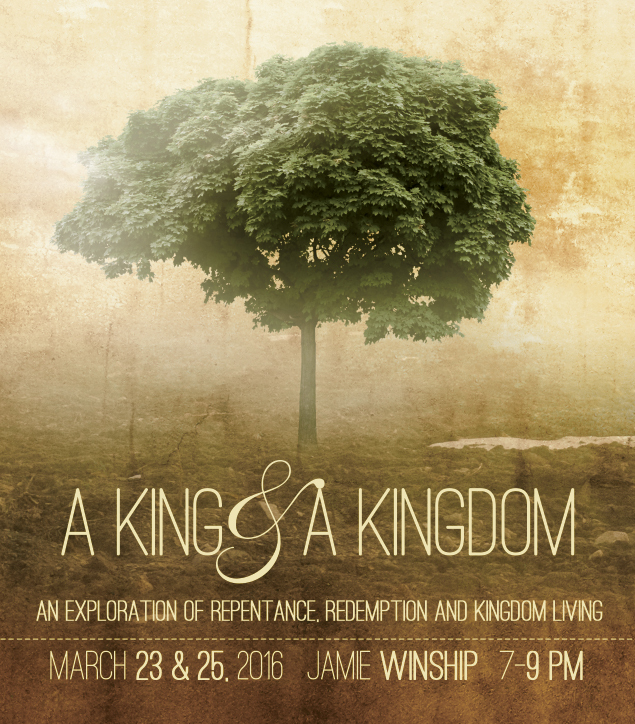 Jamie Winship will be our speaker and will explore forgiveness, repentance, redemption through the lens of kingdom living. Our hope is that we will be greatly encouraged and challenged to follow the King and build into His Kingdom. In addition to the two main evenings open to everyone, the ladies are also invited for an evening of teaching and encouragement with Donna Winship on Thursday night. 3. Will Wednesday and Friday night be the same? 4. Will the content be available after the events? We plan to record the content and have it available for those who are interested, but unable to attend. 5. Will childcare be available? Childcare will be available for all events, but only to those who register online in advance. 6. Is this an outreach? The evenings of A King & A Kingdom are designed for followers of Christ to enrich their spiritual walks. We believe that those who do not know Christ would certainly receive value from their time here and might enjoy the events, but A King and A Kingdom is not specifically intended to be outreach opportunities. Lastly, we want to clarify that these events are not to fill the calendar or replace Conversations, but rather as we sought the Lord regarding the needs of our congregation, we believe that He is directing us to provide opportunities to build into our church body. We encourage you to take advantage of these gatherings, and see what the Lord may have for you in them. We appreciate your support and look forward to seeing you at A King & A Kingdom. On Sunday, February 28, our church leadership was pleased to formally ordain Mike Meyers, our Children’s Ministry Director, to the pastorate. We thank the Lord for Mike’s faithful work here at our church and beyond, and we pray for Jesus’ blessing on Mike’s continued ministry. We are grateful to now have two Pastor Mikes on staff! A LITTLE ABOUT MIKE: Michael John Meyers is a man who loves Jesus, loves his family and has a passion for helping young people find the Way that leads to life. In pursuit of that calling, Mike left the business world over a decade ago, where he was an operations manager of a Fortune 500 company. He eventually took on the role of Director of Children’s Ministries at Reston Bible Church in Reston, Virginia. In 2005, Mike and his wife Patricia founded Open Arms Brazil and in 2006 moved to Brazil where they ministered to at-risk children. 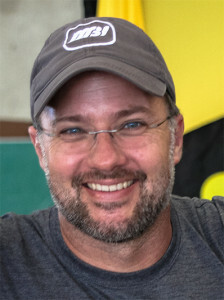 Mike and his family moved back from Brazil, and in 2013, Mike resumed his full-time position as Children’s Ministry Director at RBC. He is also the acting president of Open Arms Worldwide (OAW), an RBC-supported missions organization with the goal of mobilizing, preparing, equipping, and aiding Christians to implement transformational, faith-based outreach projects for children and youth among the world’s poor. Mike speaks to adults, youth, and children in the United States and throughout Brazil on the church’s role in raising a generation that knows the Lord and has a Biblical worldview. Mike brings a passionate and entrepreneurial approach to children’s ministry, missions, the church and the urgent need for God’s people to stand in the gap for the next generation. Mike frequently blogs here on the RBC site and at Last Man Standing Church. He has also written a book called Last Man Standing: Jesus & the Fight for a Generation. Last Sunday, we were privileged to witness the baptisms of four individuals within our congregation. Here at RBC, we believe that baptism is a public declaration of faith and allegiance to Jesus Christ. Though baptism is not required for salvation, it is an outward expression of an inward spiritual reality – it’s a visible picture of what Jesus has done for those who place their faith in Him as Lord and Savior. Baptism illustrates for us His death & resurrection, the washing away of our sin, and the new life we have in Christ. What an honor to rejoice with Bella, Corey, Jack and Karen as they proclaimed their allegiance to Jesus through baptism last Sunday! If you are interested in learning more about baptism or being baptized at RBC, click here.